When you know your dog’s behaviors, your veterinarian can plan the most effective health care program for your dog and evaluate it for the full length of treatment for maximized care. The Vetrax system allows your dog to better communicate with you and your veterinarian about your dog’s health. 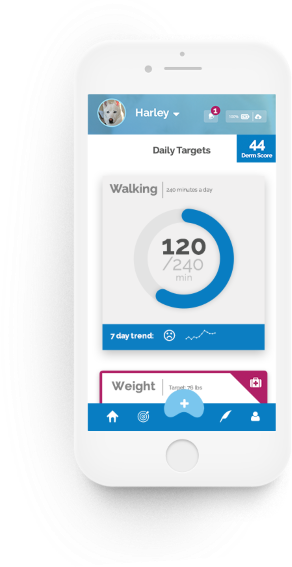 Vetrax doesn’t just track your dog’s daily activities, it works as an advanced monitoring system for specific pet behaviors, including shaking, scratching, running, walking, resting, sleeping and sleep quality, that can impact medical treatment. Vetrax is available only through your veterinarian, so talk with your veterinarian today. After your veterinarian has prescribed Vetrax for your dog, using Vetrax to maximize the effectiveness of your dog’s health care program is easy! You can get started with three simple steps. Detach the sensor from its baseplate and connect to the USB charger provided. Once plugged into an outlet, the device should be fully charged after approximately two hours. Visit the App Store or Google Play Store on your mobile device to download the Vetrax App. Follow the instructions within the app to complete the sensor setup. Connect the baseplate to your dog’s collar using the rubber strap provided. Then, attach the sensor by aligning the pin with the hole in the baseplate and rotate until it clicks firmly in place. After completing the steps above, you can immediately start to access features in the Vetrax App, but please note that it may take up to two days before you will see data from your pet’s sensor displaying in the app. The homepage is where a day-to-day overview of your pet’s behavior can be found. 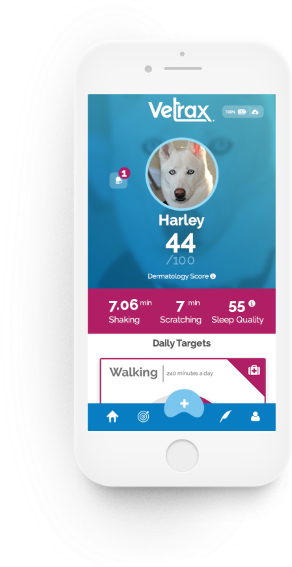 After the sensor has collected enough data, your pet’s daily score will be visible on the homepage, as well as some quick stats of the behaviors affecting that score. You will also be able to see your pet’s progress towards daily targets set by either yourself or your veterinarian. 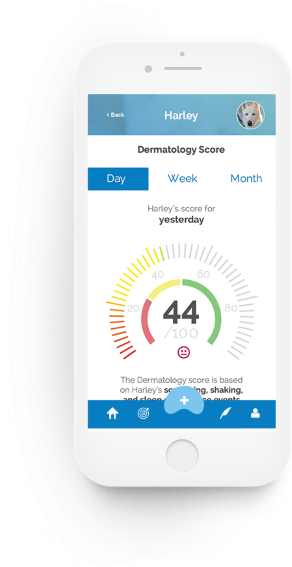 The App includes scores to assist with monitoring dermatology, mobility, healthy weight and wellness plans. The scores are statistical calculations based on a composite of multiple behavioral metrics that compare your dog’s behavior data to the proprietary Vetrax population dataset, which currently consists of over 15,000 dog-days of behavior specific results. 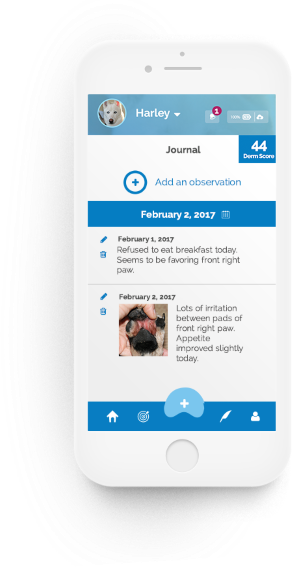 Pet owners can use the score to easily monitor plan progress and compare their dog to the continuously expanding Vetrax dog population. Even before sensor data is available, you can set your own targets for your pet by selecting the target icon in the menu. When you set a target for your pet, such as walking for 120 minutes a day, a card will be added to the homepage to show your pet’s daily progress toward reaching that goal. 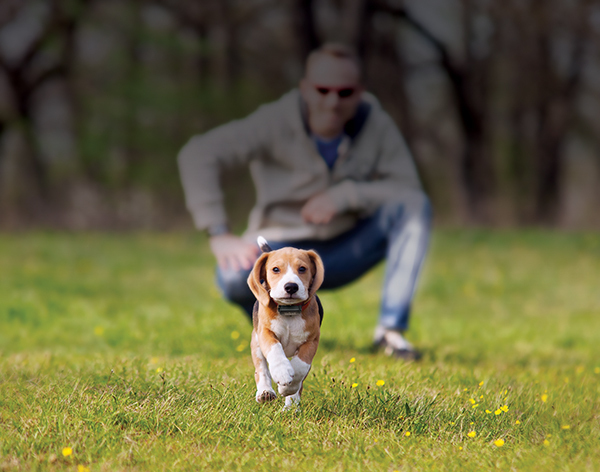 When your veterinarian recommends Vetrax for your dog, you simply purchase the sensor and an ongoing monthly subscription for behavior monitoring and support. Talk with your veterinarian for details about pricing. You can sign in to your account to manage your subscription or update personal account details. Vetrax is available only through your veterinarian. So talk with your veterinarian today about how Vetrax can help maximize your dog’s health care program. Or you can contact us using our online form.